Has your mattress seen better days? Then it could be time for a change. 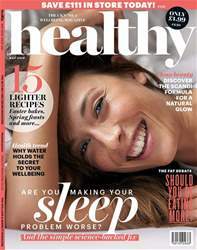 Now sleep and comfort brand Mammoth has teamed up with healthy magazine to offer one lucky reader the chance to win one of its luxurious new Shine collection mattresses, worth up to £1299 – guaranteed to give a good night’s rest. Mammoth’s all-new Shine collection is designed to give you a fantastic night’s sleep, coupled with the latest in luxury tailoring. The Shine range of mattresses all feature Mammoth’s unique Medical Grade foam, PostureCell technology and zonal support, helping you sleep more comfortably than ever before, so you can wake up feeling truly refreshed and full of energy.